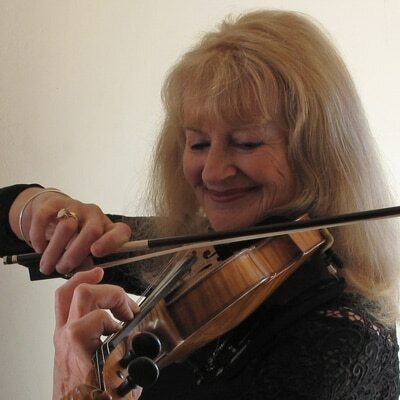 Margarita began her violin studies at the age of seven in Dunedin. study continued with the great Czech teacher Jan Sedivka at the Tasmanian Conservatorium of Music, resulting in invitations to tour in Australia. Margarita has a natural ability to convey the subtleties and virtuosity of the classics, to captivate the soul with gypsy music and to improvise with natural creative flair in jazz idioms. Four years of advanced and intensive study at Canterbury University under Polish Master Jan Tawroszewicz have resulted in an impressive technique and profound musical sensitivity. She has played with major New Zealand orchestras and given concerts and workshops in many countries and recorded for radio and television and produced many CDs. Currently she performs with Duo Jackson, La Vida String Quartet, and the Goya Ensemble. Margarita believes the highest function of education is to bring about an integrated individual who is capable of dealing with life as a whole. For Margarita teaching is an opportunity to awaken in the child the joy of music and the discovery of creativity. She regards each child as an individual with his or her own particular temperament. Margarita does not depend on any one method but prefers to mould the instruction to the needs of the pupil. Many of her students have gone on to become professional musicians.